The fit of your tie is just as important as your other garments, and this is made up of the width of your ties at their widest point, as well as their length. The width is a matter of personal style, proportions, and trends. Personally, I think 8cm looks best on most men, but you can fudge a centimeter in either direction depending your body type and taste. Popular wisdom says larger men should wear wider ties, and that the width of your ties should generally match the width of your lapels. You have some wiggle room depending on your size and style, but the general spirit is to keep your proportions in balance. The length has less wiggle room. 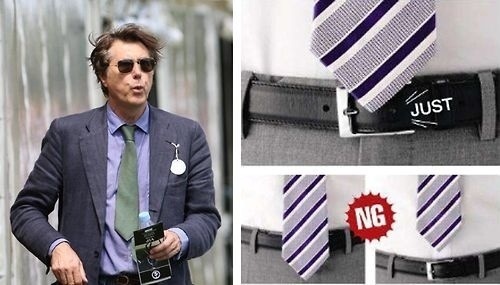 For whatever reason, men always wear their ties too short (see Sir Bryan Ferry, pictured above, who for whatever reason chronically does this). 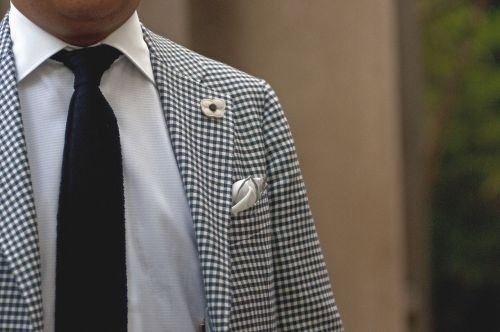 The tip of your tie, however, ought to be around the middle of your waistband. It doesn’t have to exact, but it should be close. Your ability to achieve this will depend on how tall you are, where your waistband hits, and whether you have the correctly sized tie. If you find that your ties are too long, try the double four in hand, which I’ve written about here. If your ties are too short, buy extra long ties. If you find nothing in the market works for you, try getting custom made ties. The most affordable of custom tie makers is Sam Hober, who happens to also make some of the best ties on the market. Other makers include EG Cappelli, Drake’s, and a number of tailors such as Rubinacci and Napoli Su Misura. Remember, also, that the back blade should somewhat match the front. If the tip of your back blade is more than three inches away from the tip of the front blade, you may need to look into custom ties. Again, regardless of your personal preference for width and where the back blade ends, always make sure that the front blade should is close to the middle of your waistband.